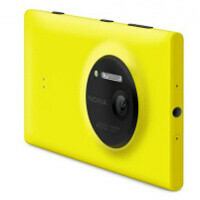 The Nokia Lumia 1020 is a revolutionary handset bringing a huge sensor the size of one in compact cameras in a phone. The 41-megapixel camera on it takes pride in great quality thanks to oversampling of many pixels into one and is especially great for low-light photography. It’s quite clear that the camera has been a key feature of the Lumia 1020, but the handset itself is gorgeous and now we have the first official walkthroughs coming from Nokia itself and its exclusive partner in the United States, AT&T. They explore all the features of 4.5-inch Windows Phone 8-based Lumia 1020 starting from its PureMotion HD+ Gorilla Glass 3 display and ending with that groundbreaking new camera and camera app of course. Check out the videos right below. Nokia just took 1 of the gimmick features from the S4 camera "animated GIF". I just loved those gimmick camera features. Soon others will follow just like with phablets.. Wait, I thought 920 already had that before S4? Correct me if I am wrong. Lumia 920 already had that before S4 called Cinemagraph. Do a research first before you talk. And I don't think GIF camera is a gimmick. The real gimmick is those FHD screen resolution and zillion-core processor which is kind of useless on mobile phone. If Nokia have it, then it's not gimmick. When Samsung have it, it's gimmick. Samsung camera features are all gimmicks based on majority of the people here. Yeah right. Next year Nokia is going to have 1080P and those zillion-cores too, same goes with phablets. FHD displays are amazing, not a gimmick at all especially when we have 5" displays on our smartphones now and 720p at 5" brings it under 300 ppi. The highest amount of cores available for use at one time on any phone is 4. The Exynos 5 Octa on the GS4 only allows 4 cores to work at one time, switching between the A7 and A15 cores depending on the task you're doing, all 8 cores are never on at one time. Do research first before you talk. yeah. but the battery consumption is increased. FHD displays don't affect battery at all really. http://www.phonearena.com/news/HTC-Droid-DNA-battery-tests-out-prove-that-the-Full-HD-screen-isnt-a-power-hog_id36867 And processor architectures are much more efficient than they were before, so they can afford to have more cores and higher clock speeds, unless we're talking about A15, then ARM's big.Little takes care of that. It runs everything available to it in its app store, ergo, it successfully fulfills all of its functions. Thus, its specs are more than satisfactory. omg is that adam giles????!!! oh la la la what can i say??? hot.